Getting heard above tweets, pokes and digital noise. There is never a good time to make a bad presentation. In our digital age it is harder than ever to present your ideas. We get tweeted, poked and bombarded by millions of messages every day. So how do you ensure you’re being heard? Whether you tweet it or tell it, your story has to be strong. Or it gets lost in the noise. Have you ever talked to someone while he was checking his phone? Have you ever presented to someone and felt like your audience was not really there? Admittedly, I find myself dozing off while listening to someone who just can’t say anything in less than 2 minutes. New rules of engagement apply in this digital age. We are at constant war with time. The scary thing is that we all like to think that others judge us carefully and objectively on our merits. They don’t. In this digital age the brain needs to make rapid choices who to focus on and who not. Research shows that humans make lasting judgments about your character, your status, your deal, within moments. Lose their attention, and lose your chance of being heard. To be heard you need to power your pitch. Wikipedia defines a sales pitch as a planned presentation of a product/service designed to initiate and close a sale of the same product or service. A pitch can just about apply to everything, from selling a product to raising investment money or even household disputes such as who will take out the trash. In any case, it is meant to sell yourself (in a non-prostitute way). Along the way the term Elevator Pitch was invented. The name reflects the idea that it should be possible to deliver the summary of an idea in the time span of an elevator ride, or approximately thirty seconds to two minutes. Know your audience. You have to investigate your audience if you want to convince them of anything. Who are they? How old are they? How much do they know about your subject? Why should they listen to you? How will you, your company or your product change their lives? Nail your opening. You have 20 seconds to raise my heartbeat. Open with a question, an interesting fact or statistic, a story, a quote, a newspaper article. Anything that will catch your audience’s attention. Be relevant, don’t start with yourself, your product or your company. Choose your banana. What information do you want (need) to share? Get your message straight. 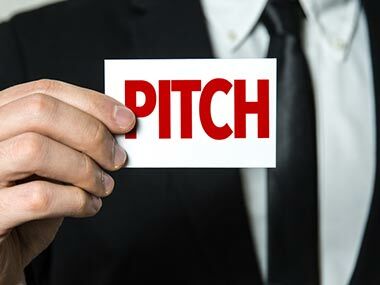 What is the key message of your pitch? And can you build that message around your audience’s needs? For example: ‘With our product (= me message), you can increase your sales (you-message)’. Too many times we are simply spraying information from our own world view. Change perspective, be relevant. Frame your story. The more you say, the less your audience will remember. Find a pitch structure that works for you. The most basic pitch structure is the following: opening – key message – context – problem – key message (your product/your company/your advice) – how it works – key advantages – call to action – close. KISS – keep it short and simple! The more you expand on your product or company, the sooner your audience will go on a mental holiday. In a pitch you want to create desire, there is no need to tell them everything. You will know you have triggered them, if they ask questions at the end of your pitch. Talk in watermelons. Everyone knows what a watermelon looks like. But visualizing ‘shareholder value maximalization’ is tough. Remember this: before we can memorize words, we need to visualize them. So use clear, concrete and visual words to make sure you will be remembered. No jargon please. VITA is vital. Use your voice to create extra impact. You can use the VITA tool to make your speech come alive. Use word magic. (Re)connect with your audience every minute by using word magic. Flag certain parts of your pitch by saying things like: the essence is this, my favorite part is, I should not tell you this, but… These are all ‘empty’ words, but they ensure all eyes are on you. Just be sure you have strong content to follow! Close with a bang! 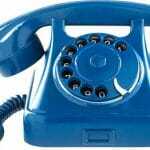 Too many times a pitch ends with ‘Thank you, are there any questions?’ That is boring! View your presentation as a doubleheaded match. If the beginning and the end are strong, they will forgive a weak middle and you will be remembered as a strong speaker. So make you close count. What is your call to action? This part of the pitch is often forgotten. Tell you audience what you would like from them: a next appointment, visit the website, read the proposal, throw money at you… The more concrete, the better. Why? If people say ‘yes’ to something verbally or non-verbally, you are one step closer to reaching your pitch goal. So why just give a presentation, when you can also deliver a pitch? Sticky Presentations introduces Power Your Pitch. 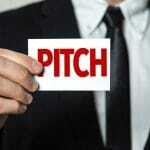 This training provides you with key insights on how to develop a powerful pitch. 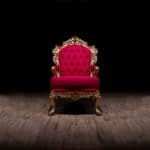 You will create your own elevator pitch and experience firsthand what it feels like to take control of your personal message and to make a real connection with the audience. Contact us for a free consultation or check our training overview for more information.